Smart technologies are drastically changing the face of retailing. No longer is the online shopping experience limited to Safari or Chrome platforms. Now, AI-enabled products such as Alexa and Siri allow the consumer to browse and purchase goods, hands free and at increased levels of ease. 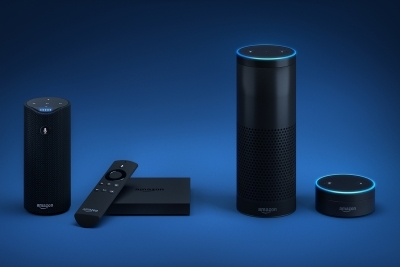 Welcome to the age of voice commerce. Recent announcements show that voice-driven technology will soon become commonplace in a myriad of industries. Wireless speaker company Sonos recently partnered with Amazon to insert Alexa’s AI capabilities into its product. Apple TV embedded voice commands, via Siri, into its latest remote control capabilities, allowing users to scan Netflix with a simple ask. And many of the latest car models have included voice recognition capabilities to play, stop, or skip a song, call a friend, and even find a better traffic route. While the market may seem saturated with AI and machine learning-driven products, the trend is just beginning. Machine learning technologies, and specifically voice-recognition capabilities, have the ability to revolutionise industries. So, how will they alter the retail supply chain? A recent article in Harvard Business Review discusses how voice-commanded digital assistants will affect product marketing, as this smart tech will likely recommend products from its own brand. If you ask Alexa to order paper plates and disposable cutlery for an upcoming party. Amazon-branded instead of generic products will most likely end up on your doorstep. Whereas once upon a time, companies listed their organisation’s title with “AAA” to increase visibility in the yellow pages, companies now need to ensure their AI engines work with digital assistants to be top of mind for user orders. As these orders become more complex – moving from “please order me carpet cleaner” to “how do I remove stains from my rug?” – a more strategic AI engine should recognise the ask and still promote its product for purchases. The power of a good AI engine will prove vital in getting better placements, as the role of digital assistants increases in importance for consumer buying behaviour. The ability of smart technology to connect the dots between a customer’s spoken, open-ended question and an order will jump start the supply chain in new ways. A constant difficulty for supply chain professionals is identifying the point of demand – and this will only get harder as customer questions become less pointed, focusing less on the words themselves and more on the intention behind them. Often, the easiest point of demand to recognise is the transaction, which can set off the supply chain process. But, AI engines can classify intention as demand, starting the process much earlier. When the consumer asks the above question about rug stains, the supply chain can get started on gathering the potential products he or she may order: stain remover, rug protector, maybe even a new rug! The more that consumers rely on these digital assistants for everyday tasks, the more data the technology can gather – data that can be used to predict future behaviours and identify purchasing patterns. An enhanced and smart AI engine is especially vital when retailers take into account the context in which consumers purchase their products. Items cannot have simple and bare-bones descriptions as to their ingredients, materials, etc. ; the more thorough and detailed the description the AI engine has access to, the better for ensuring each product is matched correctly to the consumer’s needs and past purchases. Consider the previous example for a rug cleaner: has this customer ordered a rug cleaner in the past, and if so, was it an organic solution, or the cheapest product available? Does the consumer need a specific rug solution, which likely would be higher priced? Should they be buying a rug protector in tandem with the cleansing solution, as this is a repeat purchase? Companies must use smart, machine learning technology to engage with the information surrounding the customer’s ask, especially as this sort of contextualised understanding becomes the norm in connecting the consumer with the product. Of course, as much as gathering this data benefits the supply chain and the consumer, it also places greater responsibility on companies to guard it. This is exemplified by the fact that the customer subconsciously submits data to the digital assistant, typically within the privacy of their own home. Data issues have been a hot topic lately, as companies such as Equifax and Facebook deal with security breaches of the customer data they have collected. When companies are consistently gathering user data, they are creating an environment easily targeted by outside forces. Companies need to be strategic in how they manage this information, and balance gathering data to contextualise orders with ensuring confidentiality. Once retailers identify the line that cannot be crossed, being transparent with consumers about how information is being used will be key to creating brand loyalty and building trust in the company-customer relationship. Voice commerce is a critical step for retailers, as they continue to reduce friction for e customers. This road has been travelled before – order online and pick up in store, two-day shipping, and one-click shopping have all proven successful in making life easier for the consumer while increasing brand loyalty. Voice commerce is the obvious next step in the modern retail revolution. But, as we continue to leverage existing and new technologies to improve the shopping experience, we must respect the great power that brands are beginning to harness and ensure that it produces only positive results.